About eight years ago, Tyson Hermes helped a friend move a couple beehives. At the time, Hermes admits, he was afraid to be stung. Instead, he became fascinated. And now, he has hives of his own. "I have about 20 colonies of bees, with ten of them being nucleus colonies," said Hermes, the mayor of Erlanger. "These bees are as docile as you will ever find." "You can order the bees from Florida or Texas or Georgia, and they come in a package or a screened box," Hermes explained. "But if you get the bees locally, you know whether it is a chemical-free hive, and if the bees are winter survivors." While Hermes will harvest the honey (and notes that springtime honey is lighter and made up of seasonal nectar, while fall honey is darker), his main goal is to introduce potential new beekeepers to the hobby. His courage around bees has increased exponentially. He approaches the hives in a cowboy hat covered with netting that protects his head. He doesn't wear gloves. "They might buzz around and bump into my hand, but it is only to see what you are, and maybe to warn you away" Hermes explained. "All bees have a sense of smell, and they emit pheromones." Hermes's bee-knowledge has also enhanced his service as mayor. 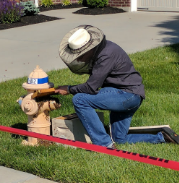 On Mother's Day, Erlanger Dispatch Center received a call about a swarm of bees attached to a fire hydrant on Park Place. Emergency responders showed up and, according to a Facebook post by the Erlanger Fire Department, a perimeter was set up to keep pedestrians away from the hydrant. The mayor showed up with a portable hive and was able to safely remove the bees. Just another day at the hive. "One of the biggest downfalls is that in the hot weather it is very hot inside the protective clothing," he said. "It helps to have the hives in the shade, but since you don't want to keep the hives open long, with practice you won't be in the clothing that long. We take a little extra time if we mark the queen, but once you know how to do it, it gets easier. It takes a practiced eye to find the queen if you don't mark her, even though she is bigger than the rest. Still, finding her is like natures's best Where's Waldo game." 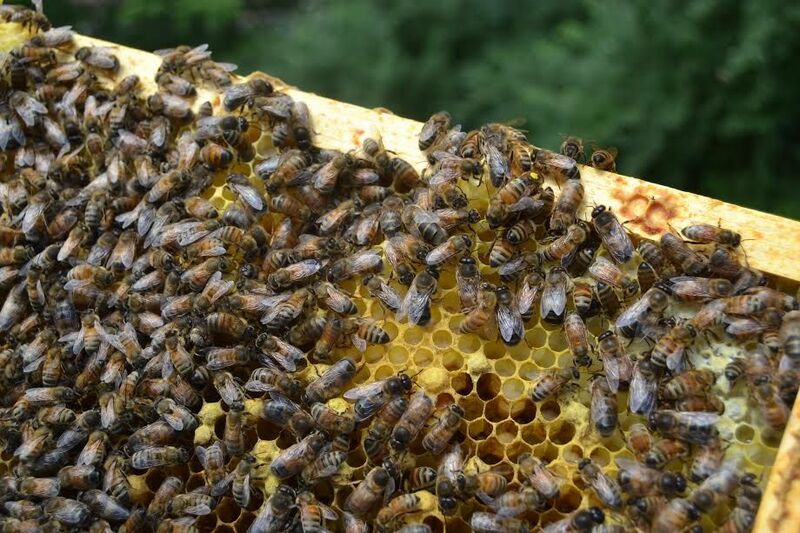 The mayor contends that beekeeping can be a learning tool for kids, too. He often talks about his buzzing friends to school children, though one of his own kids' interest quickly waned after an unfortunate sting. For Hermes, however, beekeeping has become an important hobby to mix up the busy schedule of an elected official and businessman. "It is very good because you can put in as much or as little time as you want," Hermes said.